IMAR's metal double skin provides thermal comfort by reducing incidence of sunlight in summer and protecting from the direct impact of rain and cold during winter, generating a significant reduction in energy consumption. In environments with extreme temperatures, it can prevent heatstrokes and avoid reductions in school hours, which are increasingly common due to climate change. 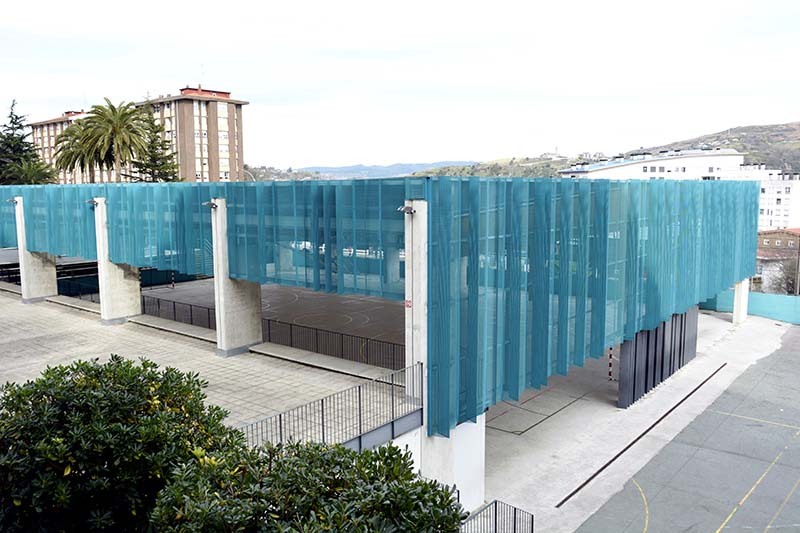 The panels, with their small perforations, create a veil effect that allows natural light into the space and gives good visibility when looking outside. 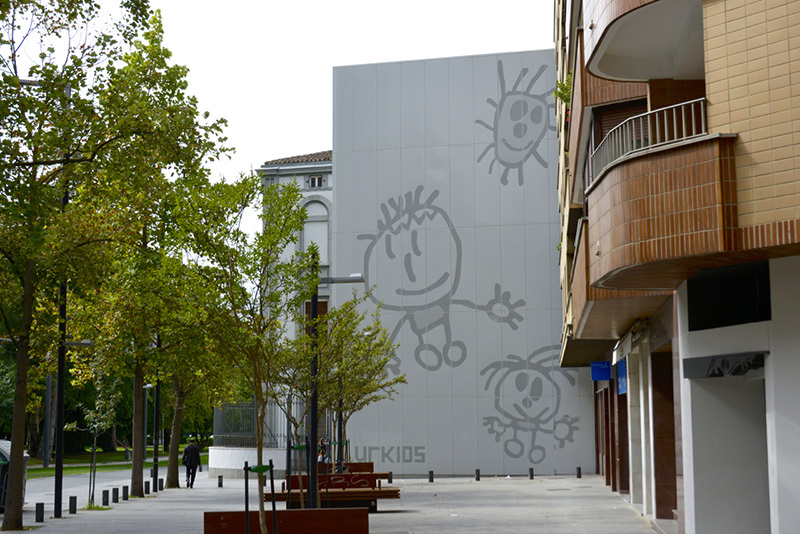 At IMAR, we can offer you an infinite variety of façade options with folds, patterns or images. 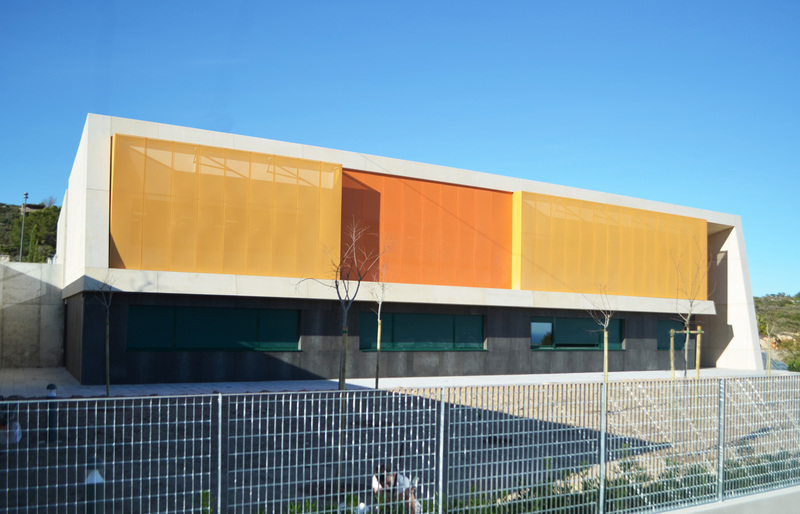 There are also enclosures with a wide variety of shapes and metallic materials that protect children’s privacy and access from the outside without giving a feeling of seclusion. In addition, all of our products have a Euro Class A1 rating; they are flame-retardant and prevent spreading in the event of a fire. They are easy to install, and our unlimited options provide unique character and personality with the best possible advantages. 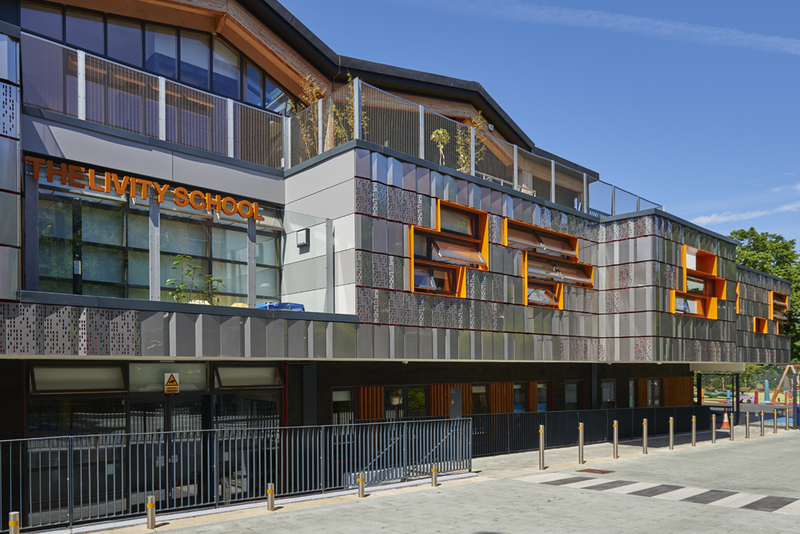 They are suitable for areas covered by school playgrounds - they insulate against cold, protect against rain and allow natural light to enter - and as cladding for new or renovated buildings for leisure and sports activities - they provide thermal and acoustic protection - as well as for use indoors as acoustic cladding or to create mobile dividing panels that allow flexible compartmentalisation of spaces.